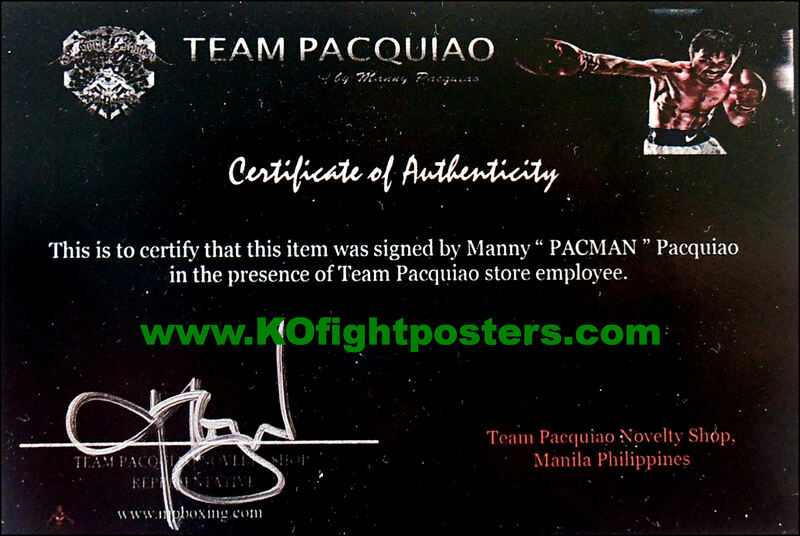 Description : Exclusive Manny Pacquiao signed bespoke 14oz red boxing glove........ 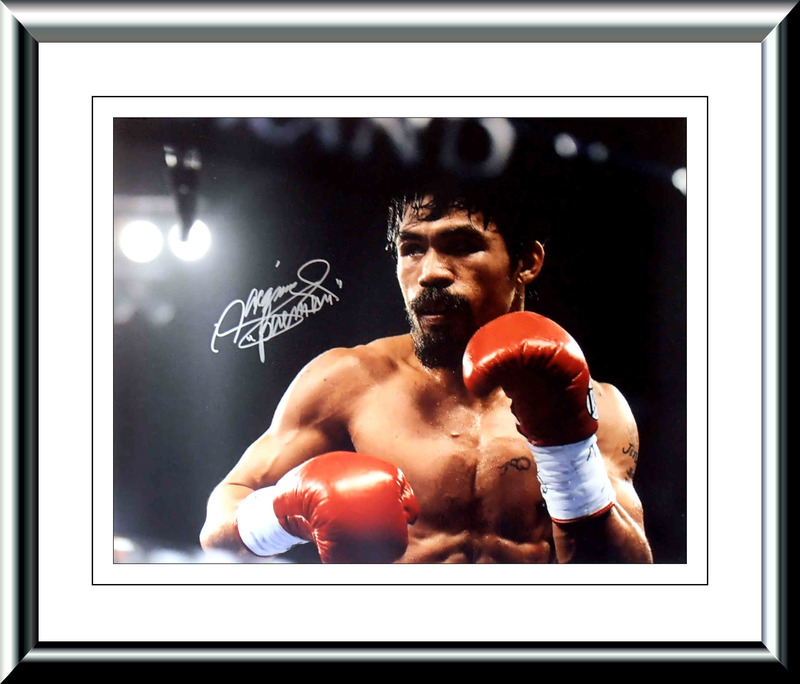 He is the first and only eight-division world champion in which he has won ten world titles, as well as the first to win the lineal championship in four different weight classes........He was named "Fighter of the Decade" for the 2000s (decade) by the Boxing Writers Association of America (BWAA), World Boxing Council (WBC) and World Boxing Organization (WBO). 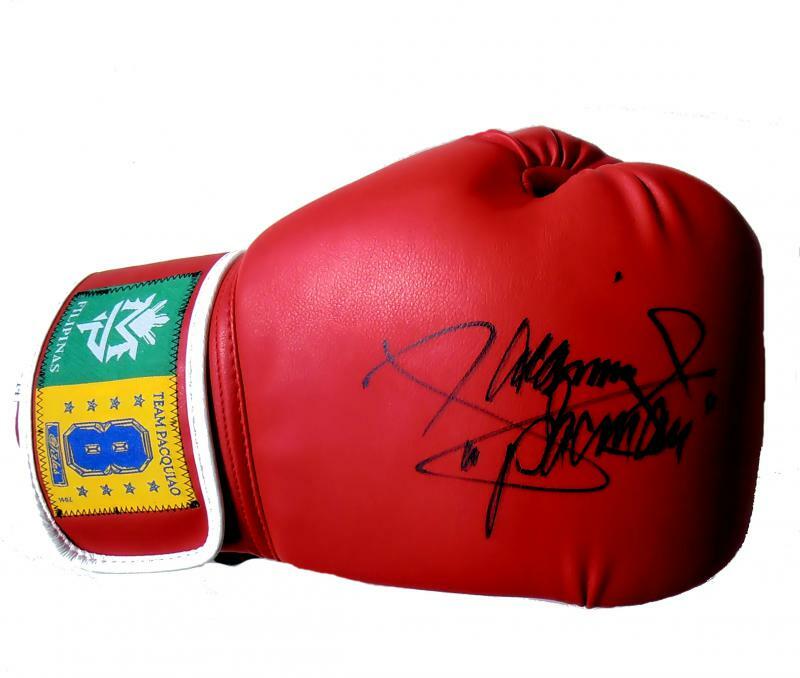 He is also a three-time The Ring and BWAA "Fighter of the Year," winning the award in 2006, 2008 and 2009, and the Best Fighter ESPY Award in 2009 and 2011.